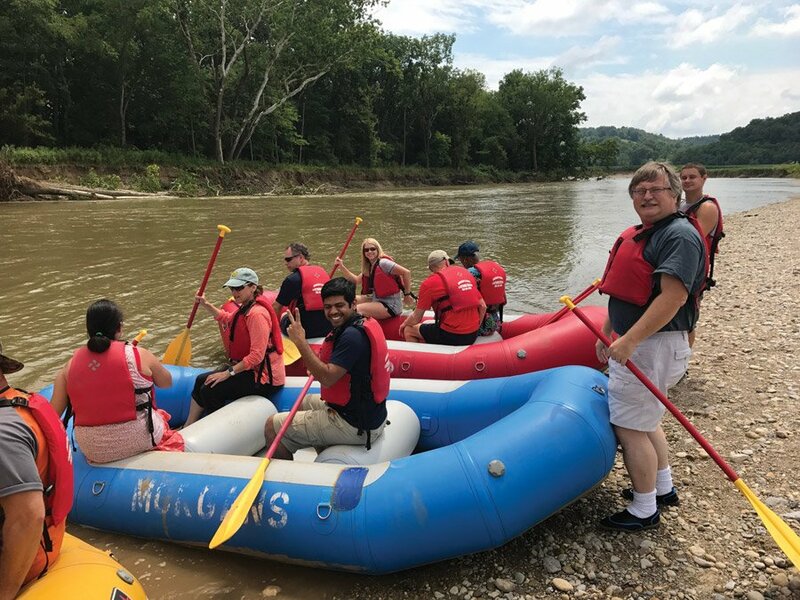 It was an afternoon of fun on the water during the annual raft trip hosted by the Cincinnati Association for the Blind & Visually Impaired. Rafters with and without vision took to the Whitewater River at Brookville, Indiana, in an annual tradition that started 30-plus years ago. After the leisurely river adventure, participants were treated to a picnic lunch. Morgan’s Outdoor Adventure donated the use of its rafts and picnic shelter for the event.